Westfield - Back And Side Yards Are Large. MLS#6516601. Braithwaite Realty. The Expansive Owner'S Suite Features A Sitting Area, Custom Closet & Spa Like Master Bath. This Home Is Luxury, Redefined! MLS#6516852. Palmerhouse Properties. Wetherbrooke - Come Experience What Smyrna Has To Offer! MLS#6516583. Method Real Estate Advisors. 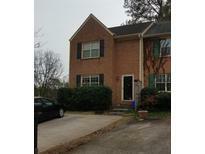 Close To Smyrna Market Village, Silver Comet Trail, Braves Stadium And Downtown. MLS#6514977. Keller Williams Realty Cityside. Low Cobb County Tax Coupled W/Convenience Of Premier Shopping,Dining,Entertainment & Interstate Access. MLS#6515112. Ashton Woods Realty, Llc. Westwood Terrace - Terrace Level Boasts Optional Bedroom/Home Office/Media Room, Powder Room And Laundry Room With Mud Tub, Washer & Dryer. MLS#6514482. Berkshire Hathaway Homeservices Georgia Properties. King Springs Heights - $5K In Cc With Preferred Lender. MLS#6513962. Berkshire Hathaway Homeservices Georgia Properties. Foxfire Forest - Easy Access To Interstates, Highways, Local Shopping, Restaurants And Entertainment Outlets. MLS#8536205. Rj & Associates Realty, Inc..
Hickory Hill - House Has A Roomy Attic, Perfect For Storage! It'S A Must See! MLS#8535116. Sellect Realty, Llc. Don'T Waste Another Minute- Go See It For Yourself! MLS#8535541. Keller Williams Rlty-Atl.North. Park At Poplar Creek - Hoa Includes Water, Trash, Landscaping, Termite Coverage, Exterior Maintenance & Pool. MLS#6512896. Keller Williams Realty Signature Partners. Close To Shopping, Dining And Braves Stadium/Battery Park. MLS#6120654. Keller Williams Realty Cityside. Oakley Downs - Conveniently Located To Suntrust Park, The Battery, And The Smyrna Market Village! MLS#6512304. Keller Williams Realty Cityside. Creatwood - Easy Access To I-285, Atlanta Airport, Downtown, Midtown, Buckhead. Low Hoa. MLS#6512384. Coldwell Banker Residential Brokerage. Generous Sized Bedrooms Each With Private Full Bath. Cobb County Tax Only. MLS#6509154. Ashton Woods Realty, Llc. 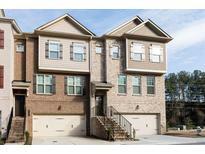 Located In The King Springs School District Near Suntrust Park/The Battery And Smyrna Market Village... MLS#8529397. The Realty Group. Woodland - Fenced In Dog Park -This Is The Prime Spot Location - End Of The Cul De Sac! ! MLS#6507794. Traton Homes Realty, Inc..
Woodland - Don'T Take Our Word For It - Come See For Yourself ,The Life You'Ve Been Wanting To Live! MLS#6503505. Traton Homes Realty, Inc..